Plenty of new music including a track from the new Jason Wilber album, The Lumineers, John Doe, and Janiva Magness. 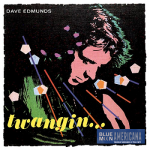 More new music is featured plus some vintage tracks including some Twangin’ throwback sounds from Brit rocker Dave Edmunds, Johnny Cash, The Nevilles, and Daniel Lanois. We’ll also be pickin’ on The Grateful Dead in this show, produced exclusively for Sonoma County’s newest community radio voice, 88.1 FM, streaming 24/7 at www.kwtf.fm.